FOSTER CITY, Calif. & BAGSVÆRD, Denmark--(BUSINESS WIRE)-- Gilead Sciences, Inc. (NASDAQ: GILD) and Novo Nordisk A/S (NASDAQ Copenhagen: NOVO B) today announced that the companies intend to collaborate on a clinical trial combining compounds from their respective pipelines in nonalcoholic steatohepatitis (NASH). The intended clinical trial will be a proof of concept study combining Novo Nordisk’s semaglutide (GLP-1 analogue) and Gilead’s cilofexor (FXR agonist) and firsocostat (ACC inhibitor) for the treatment of patients with NASH. The companies are also exploring the potential to collaborate on preclinical research to advance understanding of the disease. NASH is a chronic and progressive liver disease characterized by fat accumulation and inflammation in the liver, which can lead to scarring or fibrosis, that impairs liver function. If left untreated, individuals living with NASH may face serious consequences, including end-stage liver disease, liver cancer and the need for liver transplantation, and are at a significantly higher risk of liver-related mortality. “We are very pleased about the potential to enter into this clinical collaboration with Gilead, which would combine Novo Nordisk’s semaglutide program in NASH with Gilead’s clinical programs to provide novel approaches for the treatment of NASH. By combining the leading molecular science and clinical expertise of our two companies within the rapidly expanding liver and metabolic diseases, we aim to develop innovative, new and effective combination therapies to help people with NASH,” said Mads Krogsgaard Thomsen, Chief Science Officer and Executive Vice President of Novo Nordisk. Cilofexor and firsocostat, alone or in combination, are investigational compounds and are not approved by the U.S. Food & Drug Administration (FDA) or any other regulatory authority. Safety and efficacy have not been established for these agents. Semaglutide has not been approved by the FDA or any other regulatory authority for the treatment of patients living with NASH. Novo Nordisk is a global healthcare company with more than 95 years of innovation and leadership in diabetes care. This heritage has given us experience and capabilities that also enable us to help people defeat obesity, hemophilia, growth disorders and other serious chronic diseases. Headquartered in Denmark, Novo Nordisk employs approximately 43,200 people in 80 countries, and markets its products in more than 170 countries. 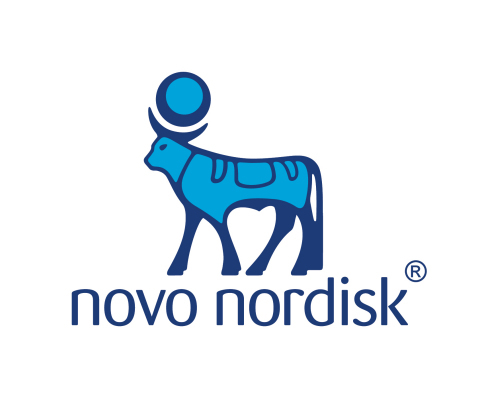 For more information on Novo Nordisk, please visit the company’s website at www.novonordisk.com. Gilead Sciences, Inc. is a research-based biopharmaceutical company that discovers, develops and commercializes innovative medicines in areas of unmet medical need. The company strives to transform and simplify care for people with life-threatening illnesses around the world. Gilead has operations in more than 35 countries worldwide, with headquarters in Foster City, California. For more information on Gilead Sciences, please visit the company’s website at www.gilead.com. This press release includes forward-looking statements within the meaning of the Private Securities Litigation Reform Act of 1995 that are subject to risks, uncertainties and other factors, including the possibility that the parties may not enter into the proposed collaboration in a timely manner or at all and the parties may make a strategic decision to discontinue the collaboration at any time. There is also the possibility of unfavorable results from the preclinical research and clinical trials involving combinations of the parties’ compounds for the treatment of NASH. All statements other than statements of historical fact are statements that could be deemed forward-looking statements. These risks, uncertainties and other factors could cause actual results to differ materially from those referred to in the forward-looking statements. The reader is cautioned not to rely on these forward-looking statements. These and other risks are described in detail in Gilead’s Annual Report on Form 10-K for the year ended December 31, 2018, as filed with the U.S. Securities and Exchange Commission. All forward-looking statements are based on information currently available to Gilead, and Gilead assumes no obligation to update any such forward-looking statements.